Does it feel like the spring skiing starts and ends later these days? Maybe it’s just me after seeing huge March snows hit the East and West recently. Well, mountains and resorts around the country have certainly taken notice as evidenced by events running into June. See our updated list of 11 spring mountain events that will keep your skiing and riding spirits alive until the last lift stops turning. The 8th annual Jackson Hole Mountain Festival weekend kicks off March 15 with Music Under the Tram on March 17 with free music including Portugal. The Man, and Michael Franti and Spearhead. Also check out the Gold Medal Jam with Red Gerard; the Snowboarding Slopestyle US Gold Medalist will be ripping some tricks and autograph signings. On March 17, Squaw Valley celebrates the legendary (and hilarious) late Shane McConkey with the 8th annual Pain McShlonkey. Dress up in your most outrageous retro ski-wear and get ready to enjoy a full day of laughs, camaraderie and memories. Festivities include the Extreme Small Mountain Invitational and a downhill race, where pros and amateurs battle it out on snow-blades for the highly coveted Golden Saucer trophy plus G.N.A.R. points, a.k.a. ultimate bragging rights. Breckenridge Ski Resorts annual month-long festival returns to end ski season with a bang, and features a number of on mountain events, including the Helly Hansen Big Mountain Challenge on March 17, the Rocky Mountain Masters April 7. The of course, the Beer festival on the same day, followed by the chili cook-off to warm things up on April 8. Finally, if you’re brave, take a Closing Day Plunge April 22. For 16 days we’ll be having huge, free concerts in the two villages, as well as the 22nd Annual Pond Skimming Contest (April 7th! It’s one of those traditions that has been wild from the start. The Pond Skimming Contest is Park City’s most popular party and is the true indicator that spring has arrived. Don’t miss live music from great acts such as Grizfolk on April 7 at noon. Stratton celebrates Marchdi Gras and the annual (Stratton Meets New Orleans) Block Party. Cool down with Pond skimming, groove to live music and warm up with World Famous NOLA Crawfish King for an Authentic Crawfish Boil. 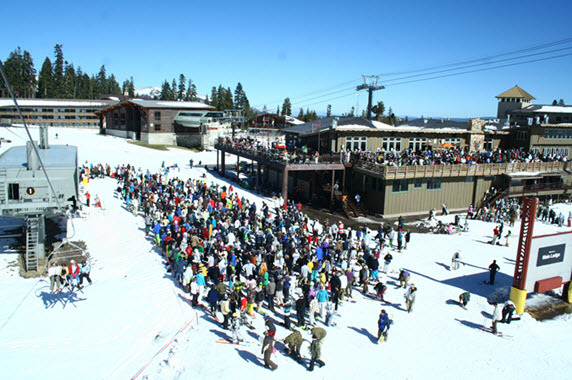 Cool it off again with the Penguin Plunge and then head over for Apres and live music at Grizzly’s. How is it that Easter and April 1 fall on the same day? In any case don’t get fooled out of the goods on the hunt. Grab the kiddos and hop to Copper Mountain for a fun-filled Easter vacation! On Sunday, Copper hides 65,000 eggs across 2,500 acres. Pssst, this is also a great day to ski, and we have inside information that many other mountains do informal Easter egg hunts with great prizes such as Season’s passes! This year, Whistler’s festival is packed into 6 days and won’t disappoint. Probably the largest spring event in N. America, this is a bucket list item. With the return of Couloir Extreme, (16th edition of the world’s steepest ski race), The Boarderstyle Worlds, Big Air, tons of art, multimedia displays. movies and live music. Your senses will be working overtime. Before you go, get some rest and prepare for The End on April 14th. While, not the biggest event in the country, the Loaf’s experience shows as they roll up some of the best Reggae acts around. Four days of music and non-stop parties at the base of Sugarloaf. Mark your calendars now, for what is sure to be an unforgettable weekend! This year’s event will feature two headliners on Friday and Saturday nights in the King Pine room, an Outdoor headliner for the first time ever on the Beach, nightly music in The Widowmaker, reggae DJ’s at Bullwinkle’s and so much more. Acts include the Elovaters, New Kingston and Maine’s own Gorilla Finger Dub. The die-hards and locals ski A-Basin from October into June. 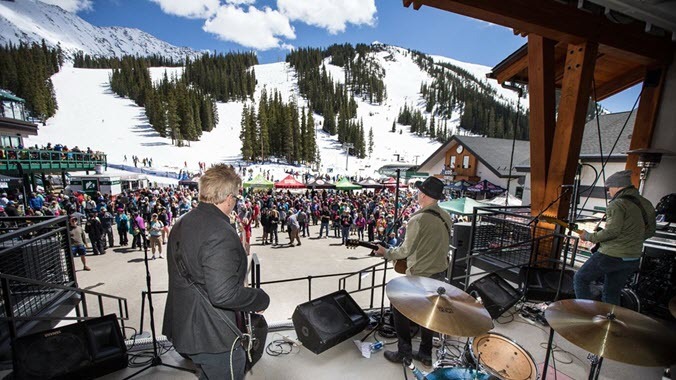 With longer days, sunnier skies and great snow conditions there is no better way to celebrate springtime in the Rockies than at A-Basin with live music on our stage in Mountain Goat Plaza. 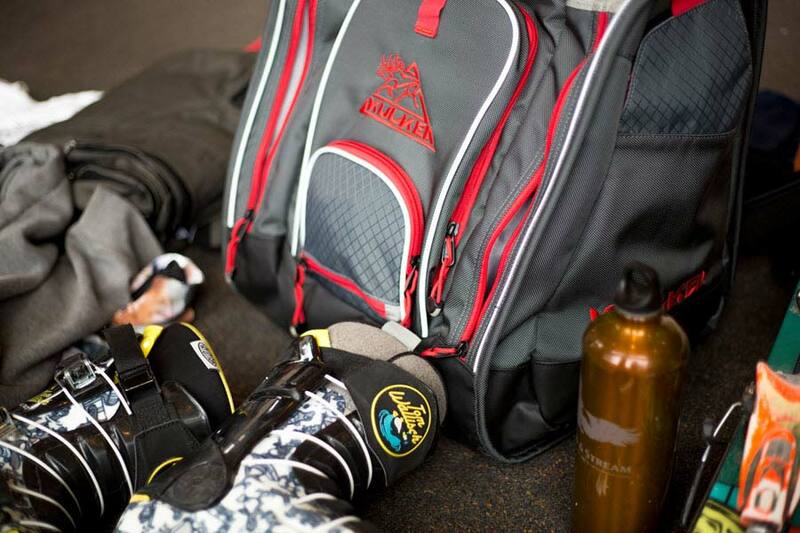 Starting on Saturdays at the end of April, up your tailgate to take in some tunes after you get in your morning runs. 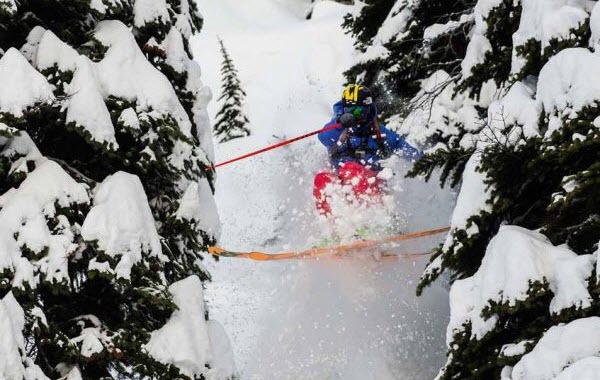 Spring Skiing: How to Stay Comfortable.